Excellent product and support. 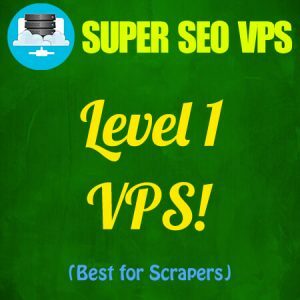 Most amazing SEO Vps I’ve ever tried. The server is super fast and all tools were amazing. Brilliant service !!! Customer service is what separates this team from all the providers out there. The products are amazing … really helpful for all things SEO. I highly recommend this service if you are considering an SEO system !!! I’m pretty Impressed with this service! I’m already on my 2nd VPS – Considering getting another couple specifically for my assistants. SuperSEOvps is indeed SUPER, I’m very lucky to have this vps subscription, fast access and fast service too. With only $ 40 per month I get an incredible tool. I recommend to every internet markting you must use the vps. Thanks to superSEOvps team for the best service. 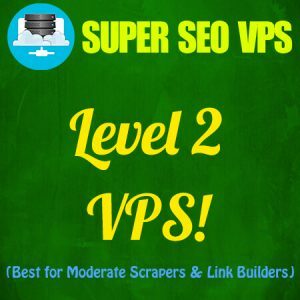 Guys out there looking for SEO VPS with SEO Tools Installed and Running Smoothly this Service is the Ultimate that I’ve found online. I’ve tried other company but they’re way far behind in terms of support, service and tools. SuperSeoVPS beats them all. Support is very quick, the server is GREAT! They have great knowledge with the tools installed aswell. I already recommended 3 of my mates and are now one of us. I’m totally pleased all in all. I just hope that it will continue long term as I’m putting everything in this. Thank you and more more Power to our Community. Great service. They do what they say and I’m happy so far! I have been extremely happy with the service. It’s fast, support is good and a lot of tools. I used another service and was paying almost twice as much as these guys. Absolutely 1st Rate Service and Product, thank you so much guys. Hands down the best SEO related product on the internet, no exaggeration. This is a serious game changer for me. I can not recommend the product enough, and the customer support is also top notch. 6 Star No doubt. Excellence customer support. My Level 3- GSA server is blazing fast and stable. They keep updating the best SEO Software. All are licensed and stable. I running 3 software at a time without crash. I tested 2 different SEO tools VPS at the same time and Super SEO is way faster, better tools and better support. I would definitely recommend anyone to get this VPS. GSA VPS is great – high speed , ultra performance , admin rights , great support , alot of useful tools for what you need , I recommend this seo vps. Services i never expected it would be, and very friendly and helpful. I am very happy with the services and would suggest whosoever is seeking these kind of services. Superb service! High availability & speed, 1st class tools and, rarely needed, excellent support. I am really happy with this service (using dedicated server) since the first day I am using it and can only recommend it. Pretty Impressed with your services with such a large collection of tools. Highly Recommended . This is 3rd Month I am using their service . also support is best. No better place to get all the tools you need. Thanks! I am extremely happy with the service and the product. Tickets are closed quickly, no waiting around. This is not the first SEO VPS service that I have used, but it will be the last one. 5 stars! Their support team is always there to help with any issues. Well worth the investment! Best SEO Services ever! I am glad to use SSV Level 3. Really affordable and doing a great job with all the tools. Just amazing service! Nice work – keep calm and use SuperSeoVPS! They deserve 100 stars.. Don’t know what else to say. From customer support to all the tools they provide is simply excellent. Looking forward to using their vps as long as they are in this business. keep up the great work! Awesome product, as good as any non loaded VPS, but you get all the tools, not to mention the affordable addons. As good as it gets!! I’ve worked with 3 other seo tools vps providers and it was a nightmare. Superseovps is by far the most professional service that I have worked with. They have always been more than helpful when I have a ticket and the vps and the tools WORK! This is by far a 10 star service!